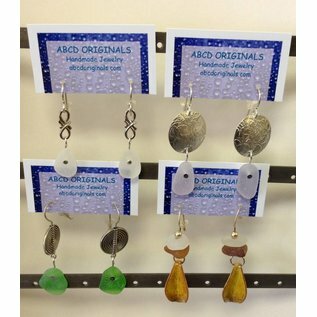 These earrings are unique and fun and are sure to be a fabulous gift or to keep for yourself! We are located near Portsmouth, NH and find all of our sea glass and beach rocks and beach pebbles locally. 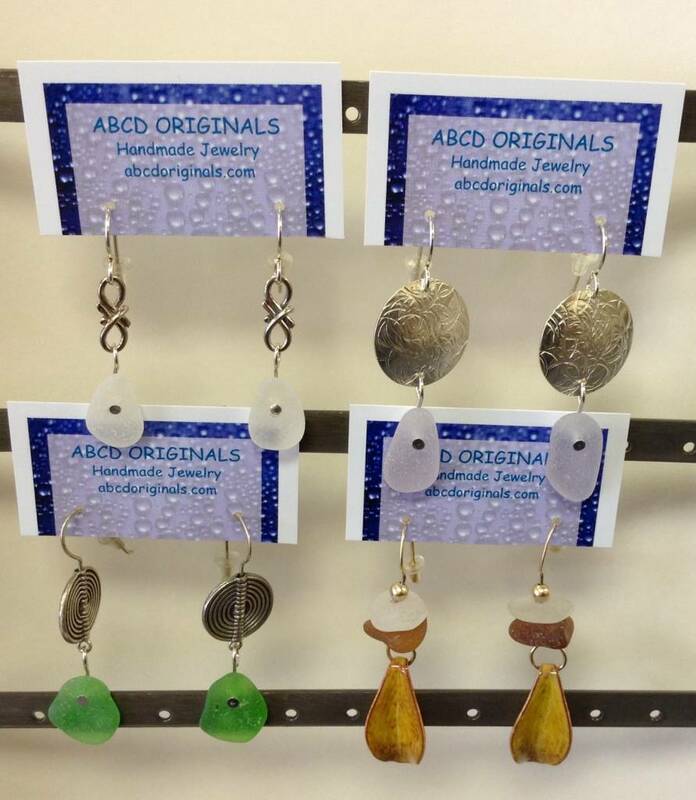 We drill a hole in the glass or rocks to create original earrings, pendants, necklaces and bracelets. We do not alter the glass or rocks in any other way- it's all natural as we find it on the beach. Original pieces crafted in Newcastle, NH.